All our removal vehicles are equipped with special protective covers tailored for covering furniture and blankets to wrap valuable goods. 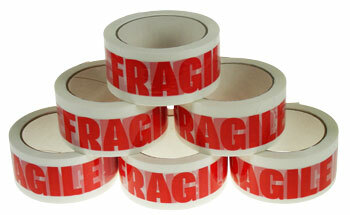 We also make sure we have a plentiful supply of boxes, tapes, ties, bubble-wrap, shrink-wrap and wrapping-paper. 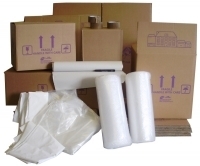 If you're looking to buy packaging, TAM Removals offers a variety of both new and recycled home moving boxes and materials. This Holder is designed to hold your wines. Our Wardrobe Boxes hold up to 20 garments each. Wardrobe boxes are manufactured from highest quality of extra stong double walled cardboard to ensure protection of your clothes. 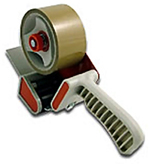 50mm Tape Gun with Brake. 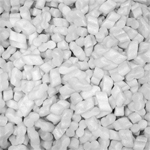 Ideal for sealing boxes quickly. Saves time hunting for the scissors!